But there something about this journey that made me feel very excited. I washed my car without her orders, and did everything that she would ask me to do even before she could think of them. I even asked for something extra to her surprise- to take tea for the road. Because it's my maiden journey to Gelephu through Tsirang, I have always wanted to visit Tsirang and I also have an unfinished quest for Gelephu. My first visit to Gelephu some years ago left a very bad impression, I was sick throughout the ten days I spent there and this time I want to even the account and forgive Gelephu with a beautiful experience. 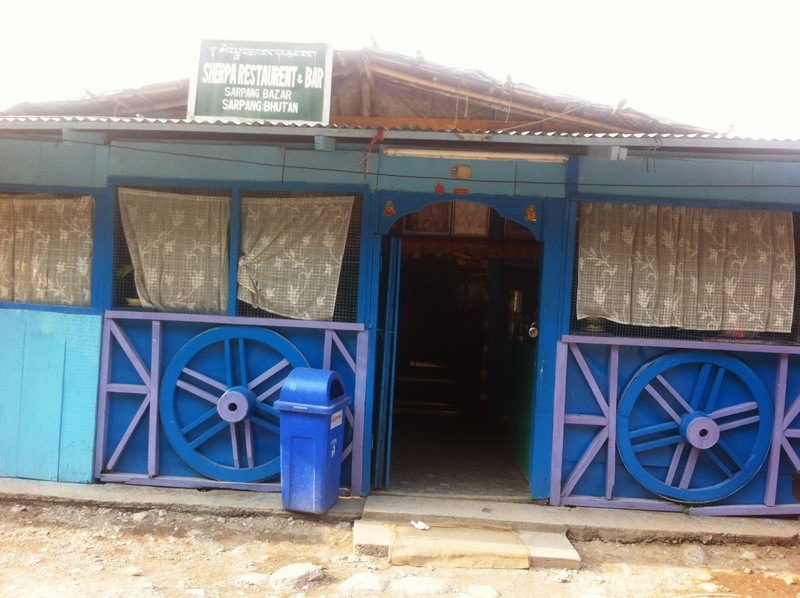 I learned that I had to keep a comfortable six hours in hand to make to Gelephu before 5PM curfew on Sarpang Gelephu highway. I made some calculation and left myself enough time to stop for tea and photography. We made a cozy bed on the back seat for daughter so that she can sleep comfortable when she get tired without bother us. She does that always. Kezang had travelled that road before, but it was too before that she hardly remembers anything. So that made the journey double exciting. I felt sorry for my daughter who could enjoy the new road. She slept. 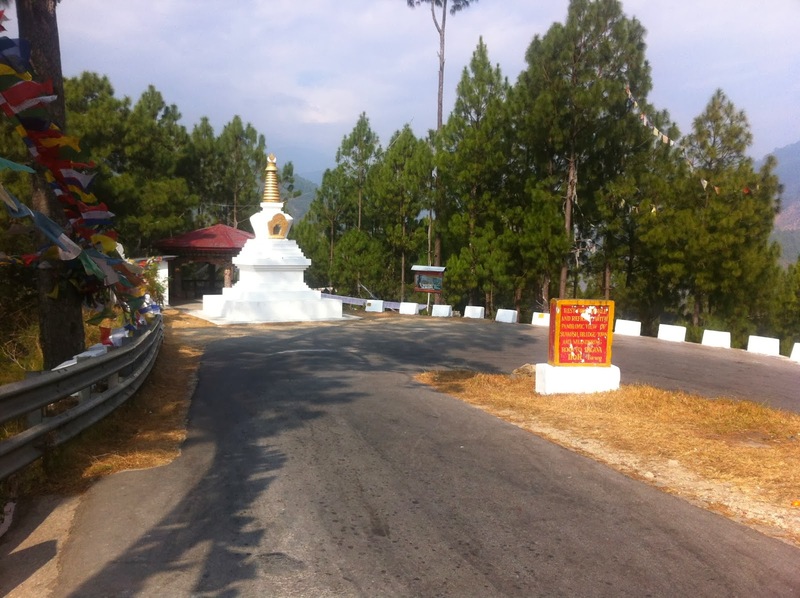 The road from Wangdue to Wakleytar Bridge is almost like travelling through India, with lots of Indian presence. 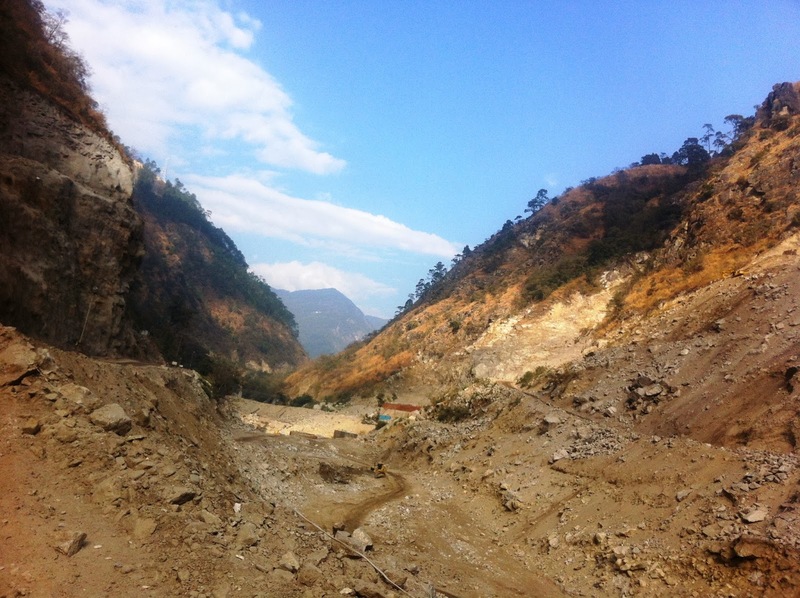 The Punatshangchu construction madness is very heavy but there are occasional smoothness on the road that is even better than the best road in Thimphu. The project has changed the entire geography of the place, and at two points on the way we could see the giant river disappear into the hills. The river bed was full of activity. The bridges on the Wangdue-Tsirang highway are something to marvel, they are very soothing to eyes and their strength is evident from the freshness the concrete work has maintained. After all it's built by Japanese! Tsirang road diverts from Dagana road somewhere near Sunkosh, well Punatshangchu changes its name from here on. The brave river is here on called Sunkosh. The road to Tsirang is all uphill through the paddies and orange trees. I woke up my daughter to show her where the oranges grow. 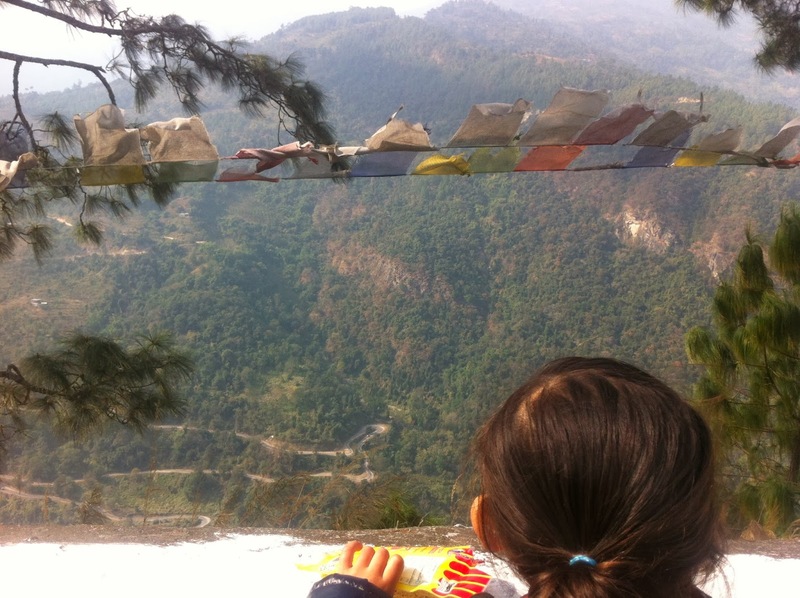 Somewhere on the top we meet a chorten from where we get the panoramic view of the Dagana road, Sunkosh and endless hills. We stopped in Damphu Bazar. I had to literally put my foot on the ground to reassure that I have covered one more Dzongkhag. Kezang bought a bottle of native honey. Infact everything is very native in Tsirang. The cozy cottages along the road, the goats in the paddies, the smell of gungudru everything tells stories of the originality of the place. 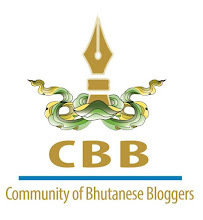 The influence from outside dzongkhag has not changed anything in Tsirang. The descending road to Sarpang after Tsirang is already lonely and the fog makes is even more melancholic. It feels so much like Gedu. It's only when we close on to Sarpang that we see the sun again, my northern root has always given me special curiosity for everything in the south. I love the plains and the broad leaf trees. Sarpang town disappointed my expectations of it, it's very small, dusty and unevolved. It's too small for all the problems it faced. We stopped for a very satisfying southern Bhutanese lunch in Sharpa Restaurant- how could I resist mutton curry with raw onion on a big plate. Out of curiosity I asked about the kidnap story and the victim happens to be the son of the hotel owner. She showed the place where it happened and how they disappeared. None of the adults were home that fateful day. The boy is now home and doing well after initial shock. 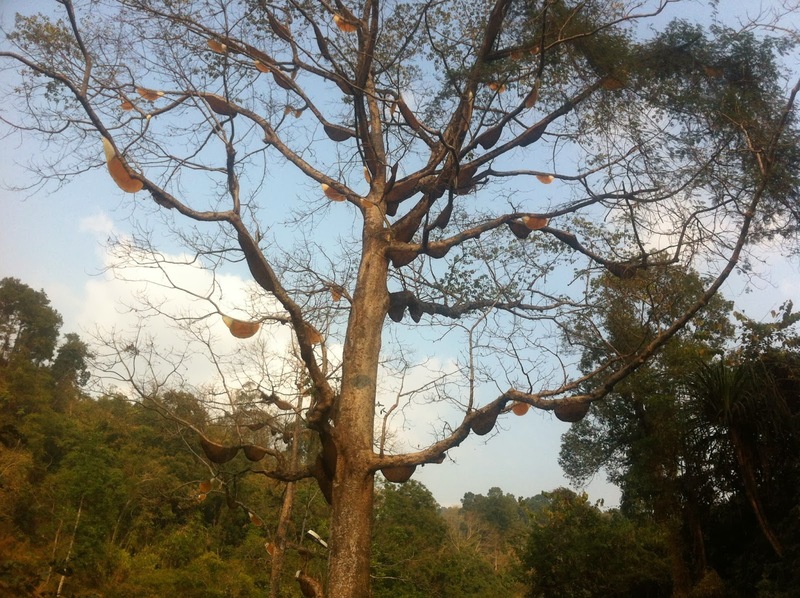 Saprang town ends at security gate which is surrounded by tree laden with Honey combs. Every tree around that place has at least 50 huge combs hanging with juicy honey, and I was told that no one harvests them. Such a waste of nature's resource. The road between Sarpang and Gelephu gives you the rare opportunity to try the 5th gear on my old car. The much feared road, where stories of kidnaps are often heard, turned out to be a wonderful experience. 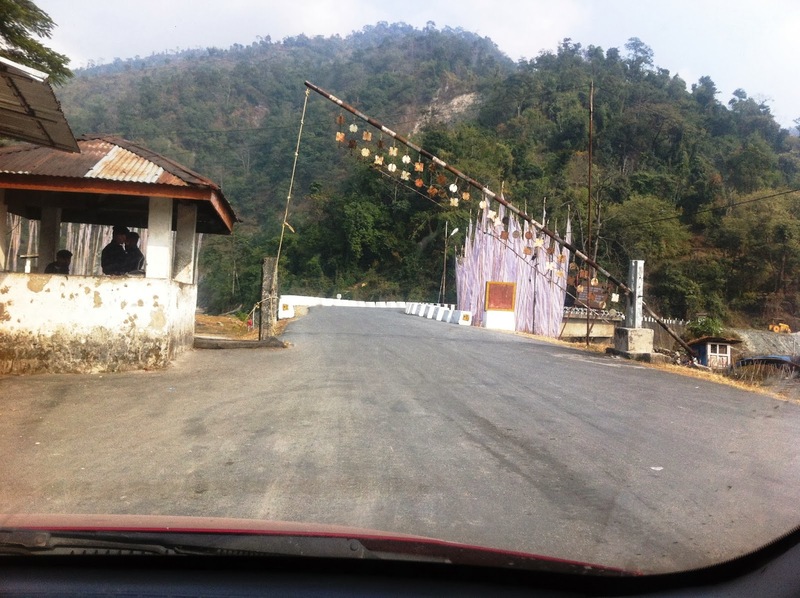 Within half an hour we were in Gelephu, and just like any Bhutanese the first thing we did was to cross the Bhutan Gate to feel the air in Assam. 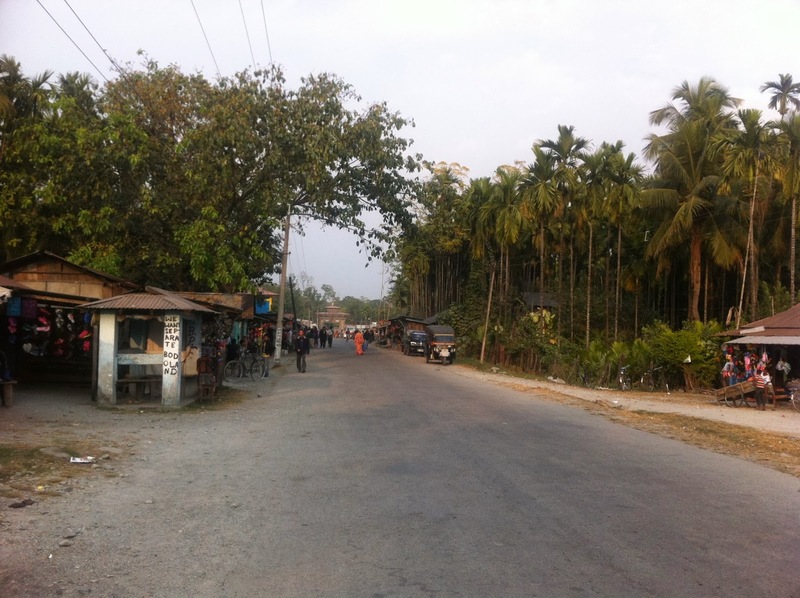 Kezang went out for shopping and while I waited I saw some scribbling on the pillars: WE WANT SEPARATE BODOLAND. But it wasn't quite readable which must be the reason why their voice is still not heard. I wasn't feeling very secure there, as soon as Kezang came back I drove back to my safe country. Passu Sir, it's good to know you are in my hometown. 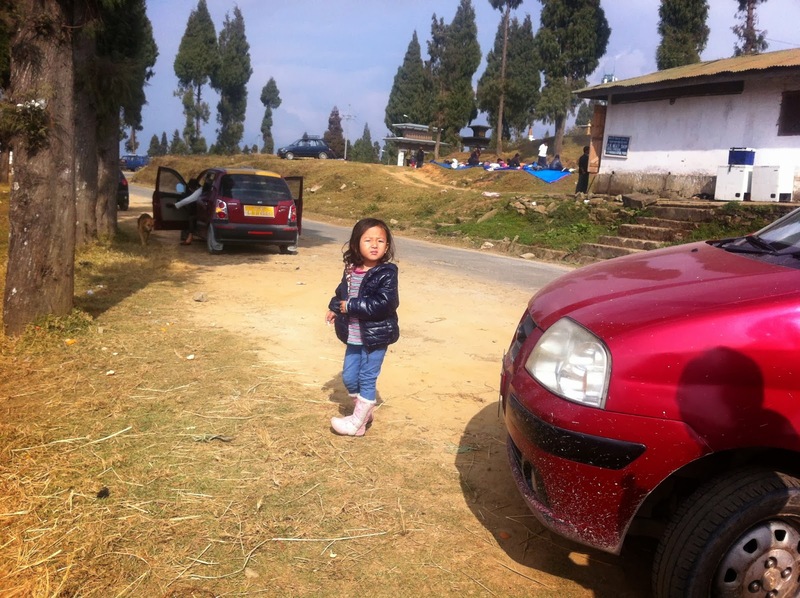 I hope you are really liking the pleasant weather of Gelephu at this time. I hope to see there very soon. Paso, I have travelled the same road several times. However, your narration of the journey gives me fresh memories of all beautiful experiences on the same road. What a nice family time you had Passu Sir.